Who is the next high profile client to trust Assure Services to deliver top quality Kitchen Duct Cleaning ? The National Trust of course! On the back of the recent contract win for The Titanic Building in Belfast Assure Services are proud to announce that they have added to their portfolio the National Trust as a client after the successful tender to provide kitchen Duct Cleaning to a number of sites throughout Northern Ireland including the Giants Causeway, Mountstewart, Belmont Tower, Castleward and Cushendall. Adrian Maguire, Operations Manager at Assure Services commented: “This appointment is further proof that our quality standards are first choice for businesses within Northern Ireland and that once again a company with proven experience and expertise such as ours can be trusted to deliver. 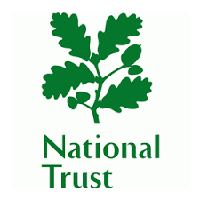 We look forward to working with The National Trust and are delighted that we can be of assistance to them by providing our kitchen duct cleaning support. I would like to thank The National Trust for entrusting Assure Services with their sites and assure them they will receive an extremely high standard of professional care.